Though I live in the city of Houston now, I grew up in a small town and have taught most of my life for “hometown” studios, where a dance studio owner is wearing all the hats, and juggling all the balls, and feeling solely responsible for the growth (or failures) of their school and business. Can you relate? I’ll bet you can, because hometown studios are everywhere, regardless of the local population size. Hometown dance teachers and studios are near to my heart. That’s why, a little over a decade ago, I launched Dance Advantage. Back then, to be part of the online dance community, I joined a pre-hastag twitter and found a handful of people tweeting about dance. No really, like 5 of us. 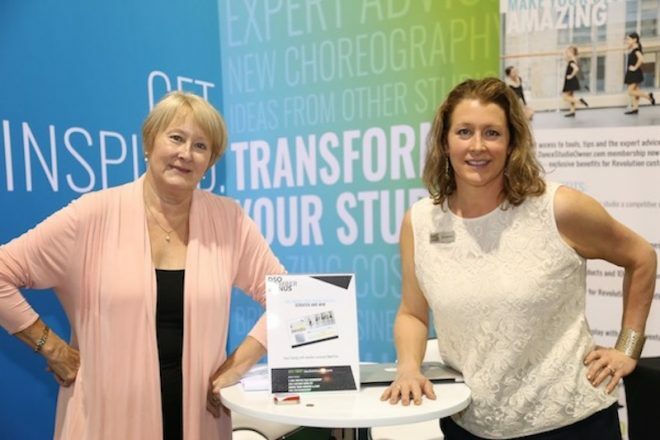 One of those individuals was Suzanne Gerety who, along with her mother Kathy Blake, had just launched Dance Studio Owner, a membership website designed to help dance studio owners start, run and grow their business. As I wrote in 2008 in my first post about Dance Studio Owner (DSO), I found Suzanne to be a sincere and generous person from the beginning of our virtual association. I also connected to the DSO mission and recognized that Suzanne, too, could relate to the kind of dedicated and determined dance studio owner that I knew because she was the daughter of one of them. Over the years, Suzanne has contributed articles to Dance Advantage, she and I (as well as her mother Kathy and business partner, Jill Tirone) have met several times in person, and I’ve recommended that dance studio owners seek out their expertise and services. It’s been about 10 years since Dance Studio Owner began and around 5 years since it became part of REV UP Brands, and I feel privileged to have witnessed and been a very small part of its success. What I’ve always felt is key, and makes the services offered by Dance Studio Owner stand out within the industry, is that its central intelligence comes from studio owners in the thick of business ownership, like you. They’re there to keep you from getting lost in it and feeling all alone. This kind of support is important along what can sometimes be an isolating career path. In celebration of DSO’s 10-year milestone, I caught up with Suzanne to talk about its “why” and what’s new, including the second annual Energize event to be held in Chicago this August. Dance Advantage: Do you see a lot of your mom’s earlier years as a studio owner in the stories (and faces) of the studio owners you are helping today? Suzanne Gerety: Definitely Nichelle, every email or social post written to our members, I literally visualize my mom reading them — and she does — and I ask myself, would this resonate with other studio owners, too, based on what we are personally facing at our own studio? Often members will email me and ask, “Are you reading my mind?” I wear my heart on my sleeve, keep it real and teach and share what I do with my own studio and staff. This business isn’t for the faint of heart but it sure is unique and rewarding. Even though each owner is different, the core business issues and challenges we face are very similar from how to find new students to retain the ones we have and keep the parents happy! I’d also say that even though we’re celebrating our 45th season at our own studio, every year we still have to “create it again,” so to speak. Whether you’ve been in business for decades or just getting started, those students still need to register, be placed in classes, get fitted for dancewear and more. I like to approach every season and everything I do with our members with as much “beginner’s mind” as I can as it helps us all be our best. DA: In the 10 years you’ve been working with studio owners, has anything surprised you? What have learned about them that you didn’t expect? What surprises me, in a good way, is just how absolutely resilient, determined, and hard-working studio owners are. I have been running this online website through economic downturns and watched many studio owners overcome terrible natural disasters as well as personal challenges and more. If there was any group of people that you could trust to go to the ends of the earth to make it happen, just call a dance studio owner. The creativity and heart combined with such incredible work ethic is amazing. Studio owners are my people! They never quit and are passionate about their dance community. DA: What are the biggest changes that you’ve seen over the last few decades of being a witness and involved in the business of studio ownership? SG: No doubt, social media and the rise of competitive dance have been the two biggest game-changers in how dance studios run and create their programs. This is true for the very smallest studio and the big, multi-location ones. As you and I both were early adopters of social media (I’m grateful that’s how we met! ), we know there used to be a lot more listening and organic ways to connect. Now it’s more complicated, in terms of the constant changes but also in what a studio owner feels he/she needs to focus their time an energy on. I still believe and witness that the studios who are consistent in all aspects of their studio marketing, social media in particular, are finding success. They have their uniqueness shine through and they are building engagement over time. Competitive dance — it’s everywhere! The erosion of the recreational dancer has been felt across many studios but the inclusion of the recreational dancer into competition has created new challenges for studios too. This trend to move to a year-round competitive model is common outside of dance as well – across all children’s activities and sports. 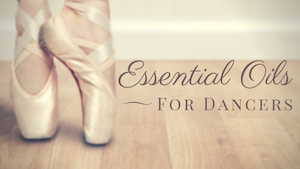 We have to continually balance the demands of the time with the core values we hold as a dance school. I do believe that you can have non-competitive performance opportunities balanced with tracks for those who want to compete. It takes a lot of vigilance to keep the studio culture positive and the drama low, which leads back to social media. This is one slippery slope where if it turns negative, or if parents get too caught up in comparisons, or if dancers lose sight of the hard work required to build technique, it can hurt studios. I’m always helping our studio owners be creative problem-solvers as well as leaders who direct the overall culture [of their studio]. It’s not an easy job but it makes a difference for so many dancers and families. DA: Technology and the Internet have initiated big changes for all businesses. 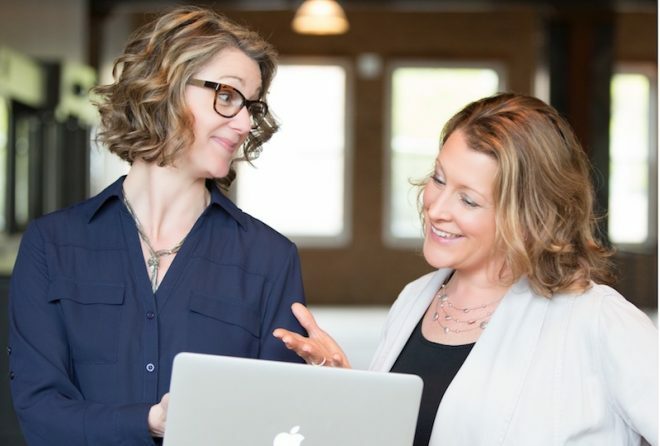 Tell me a little bit about how you began working with Jill Tirone and the evolution of her role on your team. SG: Jill and I met on Twitter in 2009 when we were just getting started helping studio owners and I wanted to find someone who personally understood the challenges that dance studio owners face in their business. Jill is DSO just as much as I am! She has a background in dance as well as business, and experience teaching as well as raising two girls in a studio. She just “gets” marketing, the studio life, and what it’s like to be a dance mom. Today, Jill and I focus our full time efforts for our members world-wide as part of the REV UP Brands. She’s actively helping our members with their social media, website, and general marketing every day. We also work closely with our entire team on the ground in Niles, IL at the Revolution Dancewear headquarters, where we create all of our studio products and services. DA: What has being a part of REV UP Brands allowed you to provide to the DSO community that may not have otherwise been possible? And/or how do the missions most align? SG: At REV UP Brands, our first priority is and has always been the studio owner so everything we create and do has the studio owner in mind. From our costumes, to dancewear programs and beyond, our goal is to partner with studio owners and help them be successful. Dance Studio Owner became a part of the REV UP family of brands in 2013 and it was the perfect fit because our mission has always been to help dance studio owners keep their passion for dance alive as they run and grow their business. Together, all of our brands are a comprehensive resource for studio owners. We help studio owners grow their student base, retain their dancers, increase their profitability through costume sales and dancewear programs, which in turn allows them to bring on more teachers and invest back into their studios. DA: An online community means a lot to teachers and studio owners who are frequently strapped for time and resources but there’s still nothing like face to face interaction. Was the Energize event developed in response to requests from the DSO community? SG: We love our online community and we have members literally from all corners of the globe. But there’s something you can only get when you’re in person — you get to touch, feel, and fully experience all of our brands. Energize came about through this need for our members and customers and was created by our team at Revolution. Since we have been doing events such as a live fashion show, shopping events, seminars and trainings over the years at our headquarters in the Chicago area, it made sense to combine all of those great events into one awesome weekend for studio owners, teachers, and their staff. We now have four brands that help you run your studio successfully: Our costume and dancewear flagship brand, Revolution Dancewear; our elite performance line, Tenth House; our Studio Resource, Dance Studio Owner; and our online dancewear and costume sales for studio owners to sell to parents, Nimbly. For those that can make it to Chicago, IL in the summer, Energize is a great opportunity for our customers to have time with us in person to connect with us and learn how to get the most out of each resource. DA: What were the most successful parts of last year’s Energize program? SG: Our customers and members say it’s the personal connections, and that they get to truly see how the costumes go from idea to creation. This is an intimate event where we make time to for attendees to connect and collaborate. Our primary goal is that you leave knowing you are a valued customer, friend of our brands, partner in this dance journey, and the bonus is that you get to see some of our behind-the-scenes on how everything works. When you receive your costumes, dancewear or login to our website, you truly know the team and all of what happens to make your dance season a success. Coming to Energize fires you up to have an amazing dance season through the classes and seminars for studio owners, teachers, and staff. We also go above and beyond to delight and surprise our customers and members, whether that’s through the great content being shared, the fun cocktail party with great food, bringing in dozens of dancers for a fashion show, it’s all about our attendees and making it the highlight of their summer dance experience. DA: What’s new this year? DA: Is there a moment or story from Energize that sums up the accomplishments of the last 10 years? SG: Every day my goal is to help studio owners keep their passion for dance alive as they grow their business. Running a studio can cause burnout and it’s easy to get disheartened by parents, complaints, and all the demands. At Energize, we set out to invigorate, inspire and definitely re-energize our attendees to have a great season. Last year, we held Energize at the end of August and Hurricane Harvey hit the Houston area immediately after. The Keynote I had presented was called, “The Unexpected Gifts of the Studio Life” and it was about how to turn any challenge into your greatest opportunity. At that time, I had no idea this terrible hurricane was going to hit. This studio owner shared our message with her team and colleagues during this terribly difficult time. If I can help one more studio owner stay strong, stay inspired, and keep bringing the joy of dance to their community, then it is a success. I like to consider myself a studio owner’s best friend in dance, holding their hand, walking together to stay strong and keep up their good work. What I know circles back to my earlier point — studio owners are strong, smart, and incredibly resourceful. For more details from Suzanne about Energize 2018, visit 4dancers.org.